Around one-fifth of the primary aluminium to roll off Aluminium Bahrain’s new Line 6 is slated for sale on the global spot market according to the firm’s CEO Tim Murray. In a recent interview with S&P Global Platts, Murray said the US$3-billion project is on the verge of first production. “We commissioned it on December 13, so we are ramping it up now and we hope to get it ramped up by mid-year,” he explained. Per Murray, the capital outlay on the project will consist of US$2.1 billion on the smelter proper, with the remaining US$900 million on a power station hosting a generating capacity of 19 MW. While doubling Alba’s current smelting capacity, Murray points out that the gain will be accomplished efficiently. “In Line 6 in terms of energy consumption it should be about 12.8 MW/mt, whereas today our newer lines are probably about 13.1 [MW/ton], so that’s a very big difference in cost,” he explained. Murray said that the market to which they will continue to sell the most will be Bahrain, which accounts for around 40 percent of their total output. Demand mix is expected to remain the same upon Line 6’s commissioning, with Europe buying one-fifth of the aluminium produced, Asia and North America each purchasing 15 percent, and buyers in other locales buying up the remaining tenth of production. 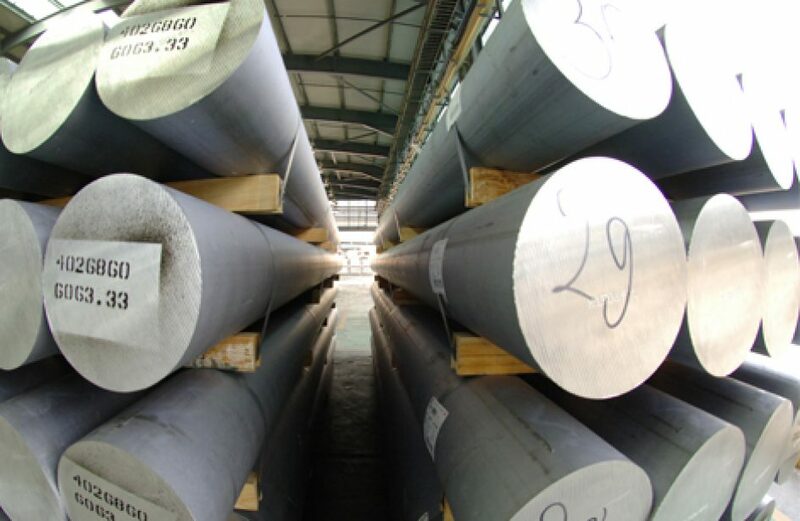 Though a movement into the upstream portion of the aluminium value chain may be possible in the distant future, Murray says the current supply overhang makes such a move untenable in the immediate future. “We tend to stay away from [downstream] because you don’t want to compete with your customers and the margins are best in the upstream mining and then the midstream and the worst is in the downstream,” opined Murray. Going forward, Murray sees the Mideast as being a hotbed for aluminium consumption growth. “If you look at markets like Iraq, Syria, Yemen, once they start rebuilding they’re going to have massive consumption,” he stated.